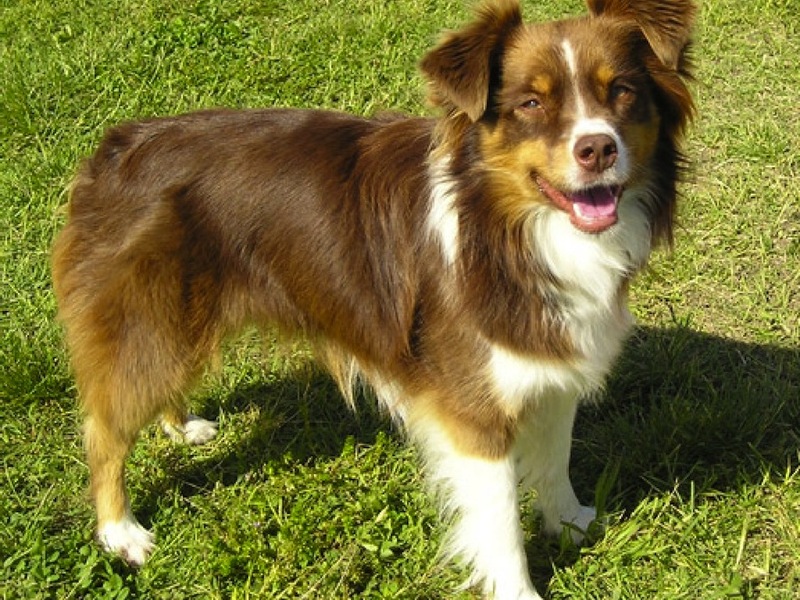 Basque Shepherd Dog is one of the oldest dog breeds. Skeletal remains were found in Neolithic caves dated to 12,000 years ago. They are interpreted as demonstrating that the people living in the area of what is now Basque Country were shepherds. In frescoes and paintings of the sixteenth century there are representations of the Basque Shepherd Dog. Nevertheless, their recognition has required extensive research on records from throughout the Basque Country. Only after demonstrating their differences from other breeds such as the Pyrenean Shepherd and the Catalan sheepdog, did the Royal Canine Society of Spain recognize the Basque Shepherd Dog as a breed with two varieties: Iletsua and Gorbeikoa. Basque Shepherd Dog is traditionally used to take care of cattle. Basque Shepherd Dog is locally known as Pastor Vasco or Perro de Pastor Vasco (Spanish name), and Euskal Artzain Txakurra (Basque name). It is believed that they originated from Central European shepherd dogs. Some Basque herders brought their sheepdogs to the Western United States when they journeyed to the United States in the 1950s under sheep herding contracts with the Western Range Association in an agreement with the Spanish government. Basque Shepherd dogs are well proportioned, with strong, rectangular bodies and trotter features. Their eyes are oval and are brown or amber. Their ears are medium sized, triangular and sometimes show folds. The vivid yellow medium length rough coat is longer over the trunk than over the head and is shorter on the face, but does not hide the eyes. The relation between height and length is about 1:1.2. The head is rather light relative to the trunk, which is attached by a short neck and muscular. Of the two distinct types of Basque Shepherd Dog, the more outgoing Gorbeikoa is the more pure and ancient of the two. It is recognized by the distinct cinnamon colored moderate length hair coat. Basque shepherd dog is one of the most suited family dogs, which goes nicely with every family member, irrespective of age. It is usually a tireless worker which enable it to perform throughout the day. However, it needs enough space to roam around. Basque shepherd dogs always prefer to remain near to the family, owing to their herding instincts. They possess a sense of territory, which is evident in their regular circling of their area. They do so to command its their more than the area. Basque Shepherd dog is usually a highly alert and agile. It is usually a gentle and playful-type dog and gels nicely with little children. The canine creates an excellent house pet and companion, owing to its high power level. It can even be educated conveniently. Basque Shepherd dog obeys all of the commands of its master. The breed includes a guardian instinct that creates it suspicious in the direction of the strangers. However, once it is acquainted with them, it treats them in a very friendly manner. Share your Basque Shepherd Dog story. Note: Upload only Basque Shepherd Dog picture or your picture with Basque Shepherd Dog below - spammer's ip may be blocked.